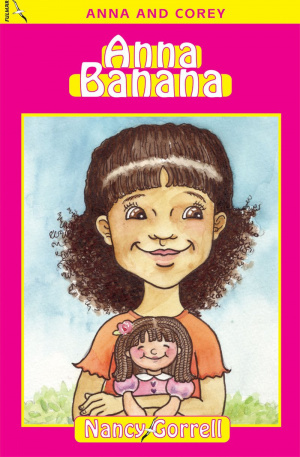 Stories of friendship and faith, Anna Banana is a fun tale of learning to forgive, even when it is hard. Anna is absolutely, terribly, very annoyed with Corey Redmond! Pesky boy! Corey calls her Anna Banana and Anna does not like it one teeny-weeny bit! Corey even snatches Rose from Anna's loving arms and throws the doll in the air and whacks her on the floor. Pesky, pesky boy! There is no way that Anna is going to invite HIM to her birthday party! But Anna has to learn a lesson about forgiveness. Become friends with Corey and Anna as they become friends with one another and with God. Cool Jewel: Anna learns a lesson about Gratitude. Anna Banana by Nancy Gorrell was published by Christian Focus Publications in September 2006 and is our 15805th best seller. The ISBN for Anna Banana is 9781845501822. Be the first to review Anna Banana! Got a question? No problem! Just click here to ask us about Anna Banana.